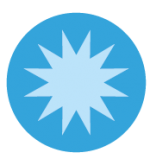 Interview on the value of open data with Davide Taibi, CNR researcher and member of the OpenData Sicilia community. On November 9 and 10, Palermo hosts the meeting of the community OpenData Sicilia, an occasion for presentation of the project OpenARS, which saw the opening of the information assets of the Sicilian Regional Assembly published in Linked Data, exploiting the potential of the semantic web. Two days of meeting with citizens, journalists and professionals on the usefulness of open data and on their possible use and reuse, also aimed at better understanding the territory and the context in which we live. Open Data and Linked Data are almost no longer talked about. After a period in which they were strongly emphasized, we have almost come back to ignoring them at national level in Italy. Davide Taibi, CNR researcher and scientific organizer of the OpenData Sicilia event, explains the current situation. “Interest in open data has never completely died. Taking into consideration the most recent developments, creation of the Digital Transformation Team in 2016 channeled considerable effort into implementation of a real digital transformation strategy in the Public Administration in various directions. Regarding data, in recent years the work of the Team has supported the definition of standards for the publication of data, guidelines and platforms that facilitate the process of data management. At the end of 2016, the Agency for Digital Italy (AgID) published an updated version of the National Guidelines for the Valorization of Public Information Assets, which contains recommendations on organizational aspects, metadata, licenses, as well as other indications useful for making the process of publication of data by Public Administrations more efficient. These guidelines were constantly updated during 2017. 2017 is also the year of the Three-Year Plan 2017-2019 for Information Technology in the Public Administration, in which the foundations are laid for defining the strategy to be adopted for the valorization of public data. All these actions confirm a constant interest in the topic of open data, which has led to identification of data of national interest, definition of shared models for data, and the creation of an integrated data management platform known as Data & Analytics Framework. However, we must admit that it is an evolving process, which requires the collaboration of Public Administrations – not always ready to embrace changes – for their effective implementation”. 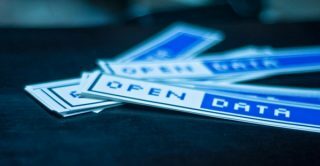 The PoliMI Observatory on Open Government recently published data referring to PAs that open up data, highlighting how few these still are and how little the data made available are of use. Is this really the case? “The work of the Politecnico di Milano Observatory is very interesting because it provides an overview of the use of open data in Italy. With regard to Italian municipalities that hold significant public information assets in various sectors, the Observatory points out that a very high percentage (over 85%) of the municipalities with a population exceeding 50,000 inhabitants publishes open data. This is an important fact because it is precisely the large municipalities that have a greater mass of data to be published, for the benefit of a very large audience. Moreover, these municipalities are generally equipped with technological infrastructures that allow autonomous management of data publication and management, a possibility that the smaller municipalities often do not have. A separate discussion is warranted regarding the usefulness of the data produced, which is a problem strictly linked to their quality. It must be admitted that, excluding some exemplary cases, Public Administrations generally find it difficult to put efficient processes of data creation and publication in place. Very often the production chain is not managed automatically. Consequently, the data produced – which require manual intervention by operators – are not updated constantly: this greatly reduces their economic value and makes them useless for real user-oriented applications. Another critical issue is inherent in the adoption of different models for publication of the same types of data: this makes the data published by various Public Administrations sometimes difficult to compare with each other. The progress made in recent years on data management platforms, in the definition of controlled vocabularies and shared data models aimed at ensuring greater interoperability, bodes well for an improvement in the data produced by Public Administrations in quantitative and qualitative terms”. What are the most interesting data to publish? “The short answer to this question is: All data are interesting. In any sector, the availability of data favors the emergence of new opportunities for the creation of services and the development of new companies and start-ups. But we can say that while a few years ago the focus was more focused on identifying which datasets were of greater interest, sometimes trying to establish a priority for the types of datasets to be published, to date there are several documents that identify the most relevant data held by Public Administrations and publication of which in open format is strongly recommended. In fact, an extensive list of particularly relevant datasets has been produced within the Open Government Partnership initiative. A subset of this list was included in the 2017-2019 Three-Year Plan for Information Technology in the Public Administration as a dynamic basket of datasets, publication of which will be monitored over time. A further subset was proposed as a list of key databases to be made available as Open Data at the national level. This latter document indicates data that fall in the fields of transport and mobility, education, culture, sport and tourism, economy and finance, the legal system and public security, regions and cities as the most interesting data. In a recent study conducted by the Bruno Kessler Foundation as part of the Open Data 200 initiative, businesses have also shown that geographical data and tourism data are to be considered among the most interesting for creating new opportunities of development. Today, in the wake of these initiatives and studies, we have a clear idea about which are the relevant data that Public Administrations should make available in an open format: now, however, it is necessary to shift more attention to the quality of data so that they really become a concrete opportunity for cultural and economic growth”. Your OpenData Sicilia community is very active. Which, in your opinion, is the most useful initiative for the citizen realized in your region? “The publication of data in an open format, according to licenses that allow reuse, has made it possible to create various services useful for the citizen. Over the years, the OpenData Sicilia community has promoted numerous initiatives and projects based on open data and addressed to citizens. Among the most important, special mention should go to FOIAPop, an award winning initiative OpenGov Champion 2018, organized and promoted by the Department of Public Function of the Presidency of the Council of Ministers, in collaboration with the Open Government Forum. The aim of FOIAPop is to simplify the process of civic access to documents and data produced by the Public Administration, helping the citizen to create step by step a request for simple or generalized access. No less important is the AlboPOP project, which aims to make information on public notices, calls for tenders, ordinances of the mayor and other information published on the albo pretorio [municipal notice board] of municipalities accessible to the citizen in real time, making it possible to live their territory in a conscious and active way. At present, AlboPOP is used to access the albo pretorio of more than 100 municipalities scattered throughout the country. Another very interesting project, recently realized by members of the OpenData Sicilia community, is OpenARS, which aims to publish data on the parliamentary activities of the Sicilian Regional Assembly according to Linked Data principles, enabling new opportunities of searching for information, and processing and interconnection of data. Although the project is in its initial phase, it is already providing the tools necessary for bringing citizens closer to the activities of the Sicilian parliament, thus stimulating greater civic participation. Finally, I would like to mention the PalermoHub project, which brings together almost 100 thematic maps created and redrafted by free citizens, based on open data and public data made available not only by the Municipality of Palermo but also by regional and national institutions. The availability of maps related to different thematic areas allows citizens to live their territory with greater awareness”. What is the future for open data? “Our experience leads us to assert that at present there are critical issues in the publication of open data, and much work must still be undertaken so that the culture of open data spreads in the Public Administration and processes capable of automating production and the publication of the data are implemented. At the same time, however, we see a constant evolution, sometimes less rapid than we would like, towards greater attention to the quality of published data, the use of standardized metadata for the description of published data, and, from an organizational point of view, the definition of specific figures within the Public Administrations that have the task of dealing with the opening of data, of incorporating regulations, guidelines and tools that are adopted at national level, encouraging greater dissemination of the culture of data as a public resource”.